San Juan has dedicated our professional lives to the design and construction of the highest quality swimming pools in the industry to date. 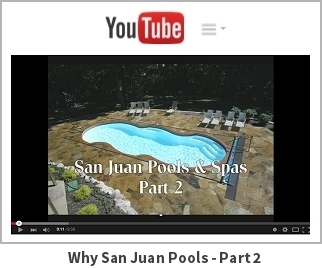 With San Juan Pools, there’s never any room for compromise on quality. 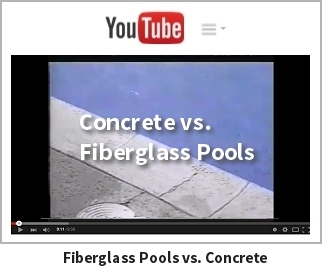 All San Juan fiberglass pools are manufactured in a controlled factory environment under strict supervision, resulting in a predictable high-quality product right down to the tile and accessory installations. 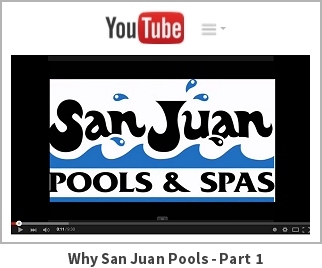 “An unyielding commitment to quality has been San Juan’s stock in trade ever since we produced our first fiberglass pool back in 1958. As a matter of fact, our first pool is still in use, looking as good today as the day it left the factory. It’s a monument to the enduring quality of our product,” says Kirk Sullivan, president of Lakeland, Florida-based San Juan Products. 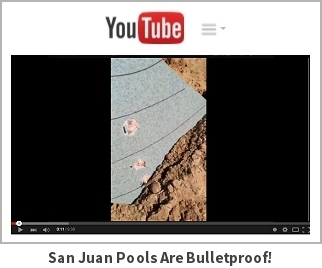 The following videos highlight the benefits of purchasing a San Juan fiberglass swimming pool – including that they’re bulletproof!